With Flowmingo your team can share details every step along the way. 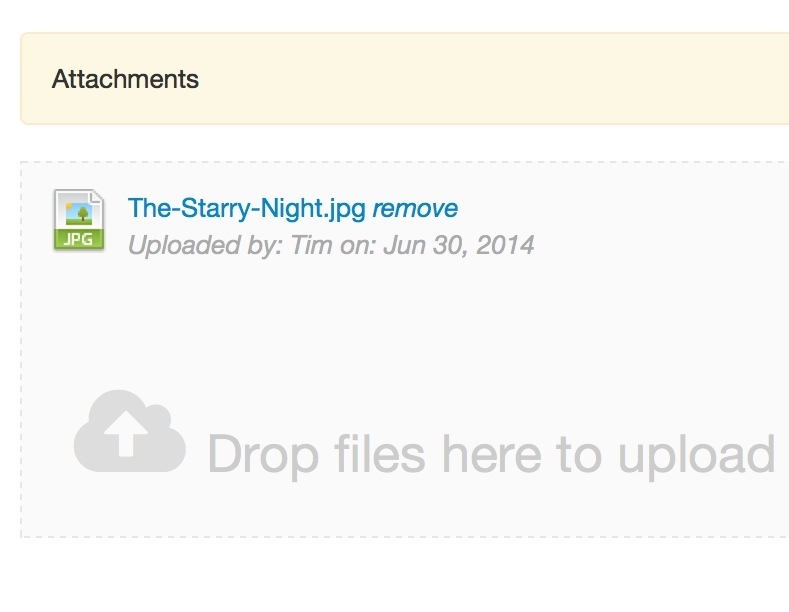 You can attach files and comments to workflows and tasks. Its easy to coordinate your teams efforts with dashboards that allow users to keep track of a workflows progress. 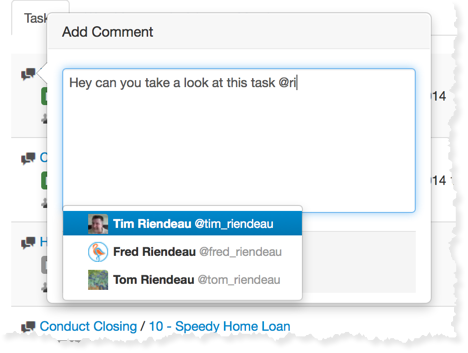 You can leave comments on both tasks and workflows. 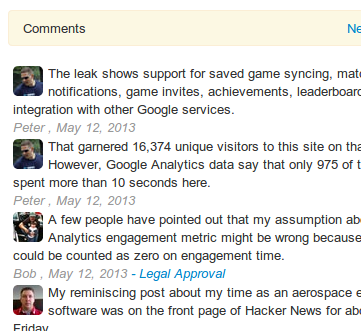 Task comments roll up to the tasks's workflow providing a central place to find all the workflow's comments. Attach documents directly to a workflow or task. Task attachments roll up to the tasks's workflow providing a central place to find all of the workflows' documents. Use Twitter style "@" mentions to call your team members attention to any comment. You can also be alerted via email whenever you are mentioned. Easily drag multiple files and drop them onto your task or workflow. Your files are uploaded automatically. 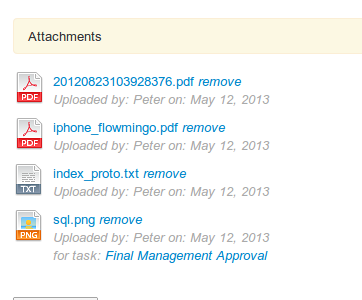 These files are stored by flowmingo and kept in an encrypted state until you need to retreive them. Free 30 Day Trial. Get Started in 60 Seconds.